Justice Rita Ofili-Ajumogobia of the Federal High Court in Lagos on Thursday granted an order of substituted means in a suit seeking to re-open investigations into the murder of a former governorship candidate of the Peoples Democratic Party (PDP) in Lagos State, Funsho Williams. One of the detainees in the murder trial, Bashir Junaid, had filed the suit seeking an order of mandamus compelling the Inspector-General of Police (IG) to re-open investigations into how the late PDP stalwart was murdered in cold blood. Williams was killed on July 27, 2006 at his Dolphin Estate residence in Ikoyi, Lagos. Junaid, a former cemetery attendant, was detained for about one year in connection with the killing, but later released. A lady’s wardrobe is an extension of her personality. Stocked with everything from essentials to frivolous knick knacks, it is equipped with everything that a lady needs for her armour. 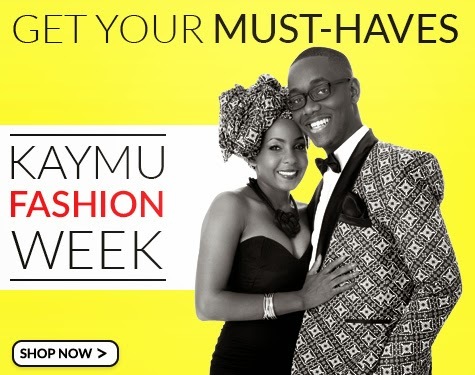 Kaymu’s Fashion Week showcases must-haves for the Nigerian woman’s closet. Afenifere leader, Chief Ayo Adebanjo, says he can never forgive the presidential candidate of the All Progressives Congress, Maj.Gen Muhammadu Buhari (retd. ), because of the sins he committed against Yoruba leaders while he was head of state between December 1983 and August 1985. The 87-year-old, who was a close associate of the late sage, Chief Obafemi Awolowo, said Buhari locked up all the Yoruba governors after overthrowing the Shehu Shagari government. Adebanjo said this at a post-National Conference in Lagos titled, ‘Into tomorrow and beyond’ on Thursday. Less than one year of the establishment of her pet project, Caring Family Enhancement Initiative (CAFÉ), the wife of the governor of Anambra State, Chief (Mrs.) Ebelechukwu Obiano has trained a total of 273 women and men in different small scale businesses. The breakdown of those trained are tailoring which has 26 persons, soap making – 41, hair dressing and beauty therapy – 62, bakery/confectionaries – 52 and community health workers – 92. THE Olubadan of Ibadanland, Oba Samuel Odulana, on Thursday, directed his subjects, sons and daughters of Ibadanland and other Yoruba descents to cast their votes for the All Progressives Congress (APC) presidential candidate, Major General Muhammadu Buhari, on March 28. The traditional ruler gave the directive at the “Pan Yoruba Summit” convened by General Alani Akinrinade, held at Parliament Building, State Secretariat, Ibadan and attended by notable Yoruba leaders. In what is seen as a practical move to develop tourism sector, create jobs and attract huge revenue from local and foreign tourists, the governor of Anambra State, Chief Willie Obiano has signed a Memorandum of Understanding (MoU) with Africa Project Finance and Development Limited for the development of Ogbunike Cave into a world-class Theme Park and Resort at the cost of N250 million. Under the arrangement okayed at the governor’s Lodge, Amawbia, the company will design, develop, finance, construct and operate the state-of-the-art Park and Resort. The Joint Admission And Matriculation Board (JAMB) have released the results of candidates who participated in the ongoing UTME for March 16th, 17th, 18th and also 19th, 2015. Former Governor of the Central Bank of Nigeria and the current Emir of Kano, Lamido Sanusi, says the issues surrounding the missing $20bn oil money have not been adequately addressed by the Federal Government. Sanusi, who is now known as Emir Muhammadu Sanusi II, had last year raised the alarm about missing $20bn but was removed shortly after by President Goodluck Jonathan. The Federal Government later hired an international audit firm, Pricewaterhousecoopers, to audit the account of the Nigerian National Petroleum Corporation. The PWC report stated that NNPC must remit $1.48bn to the Federation Account. However, Sanusi, said during an interview with Christiane Amanpour on the Cable News Network on Wednesday, that the level of corruption in the oil sector was still high. He said for instance, no one had accounted for the billions of dollars paid in kerosene subsidy which was not approved by the National Assembly. The All Progressives Congress, APC, has said the decision by President Goodluck Jonathan to summon INEC Chairman Attahiru Jega to a meeting that was not attended by other political parties in Abuja on Tuesday is part of ongoing moves to compromise the integrity of the electoral commission, which is expected to be fair and neutral. In a statement issued in Abuja on Wednesday by its National Publicity Secretary, Lai Mohammed, the party said it is wrong for the President, who himself is a candidate in the forthcoming elections, to be summoning the electoral umpire at will, especially when such meetings are populated by his appointees. The Ekiti State Governor, Ayodele Fayose, has said that the All Progressives Congress Presidential Candidate, Muhammadu Buhari, should seek forgiveness and not votes from the people of the Yoruba land and even those in Edo and Delta States. “Buhari’s coup of 1983 destroyed the Southwest and the old Bendel State (now Edo and Delta) as it put an end to the developmental programmes of the late Chief Obafemi Awolowo’s Unity Party of Nigeria (UPN) government in the Southwest States of Lagos, Oyo, Ogun and Ondo, as well as Bendel State,” Mr. Fayose said. Speaking through his Special Assistant on Public Communications and New Media, Lere Olayinka, Mr. Fayose said Mr. Buhari meted out inhuman treatment to Yoruba leaders like Obafemi Awolowo, Adekunle Ajasin, Bisi Onabanjo, Bola Ige, Lateef Jakande and the immediate past APC National Chairman, Bisi Akande, all of whom championed development and good governance in the Southwest States. The Spokesman of the Northern Elders Forum (NEF), Professor Ango Abdullahi, was Wednesday shot by some soldiers in Bauchi on his way to Gadau. Ashiwaju.org gathered that the former Vice Chancellor of Ahmadu Bello University (ABU), Zaria, attacked his car as soldiers shot at the car as his driver overtook a military convoy. Narrating what happened to newsmen in Bauchi yesterday, Professor Abdullahi said he was on his way for an official assignment at Bauchi State University, Gadau, where he is the chairman of the university’s governing council. “It was in the morning as I was travelling in my official car with my driver. I was going to Gadau for a meeting. We had just passed the Awala Hotel roundabout when I saw a military convoy moving very slowly. The Minister of Petroleum Resources, Diezani Alison-Madueke, has sued 11 organizations and individuals over the missing $20billion oil funds. The funds were reported missing from the coffers of the Nigerian National Petroleum Corporation (NNPC), by former Central Bank of Nigeria (CBN) governor, Sanusi Lamido Sanusi. Mrs Alison-Madueke has filed a suit before the Federal High Court in Abuja to restrain members of the media from linking her with the missing money. The defendants in the case are the All Progressives Congress(APC), Vanguard Media Limited and its editor, Mideno Bayagbon, Leadership Newspapers Group Limited and its editor Ekele Peter Agbo, Premium Times Services Limited and its editor in chief, Dapo Olorunyomi, and Vintage Press Limited and its editor, Lekan Otufodunrin. A Federal High Court sitting in Abuja on Wednesday ordered the removal of the Peoples Democractic Party (PDP) governorship candidate in Borno State, Alhaji Mohammed Imam on the grounds that he was not validly elected at the party's primary election held in December 2014 in Abuja. In his place, the presiding judge, Ahmed Mohammed ordered the reinstatement of Alhaji Gambo Lawan as the validly elected candidate of the PDP, directing the Independent National Electoral Commission (INEC), to immediately recognize Lawan as the legitimate candidate of the party in Borno State ahead of the April 11 rescheduled elections. Josephine Ugwu, the airport cleaner who returned a passenger’s luggage containing local and foreign currencies to the tune of N12m has been rewarded with a N7,200 salary increment. Ugwu, who works for Patovilki Cleaning Services, a concessionaire engaged by the Federal Airports Authority of Nigeria to keep the Murtala Muhammed International Airport, Lagos clean, was on a monthly salary of N7,800 before the incident. The National Diploma graduate of Our Saviour Institute of Science, Agriculture and Technology, Enugu, now enjoys a N7,200 salary increment, bringing her new salary to N15,000. During a visit to the airport on Monday, journalists interacted with Ugwu’s colleagues who expressed disappointment that such act of uncommon integrity was not noticed by the government. They argued that a society that was quick to mete out punishment to offenders should also be quick to reward exemplary behaviour. FEC APPROVES FULL IMPLEMENTATION OF CONFAB REPORT. The Federal Executive Council (FEC) wednesday formally approved for the full implementation of the recommendations contained in the 2014 National Conference Report. The immediate past supervising Minister of Information, Chief Edem Duke disclosed this to newsmen after the FEC meeting. Chief Edem Duke who was joined by the Secretary to the government of the Federation, Senator Anyim Pius Anyim said the cabinet members hailed the report and commended delegates to the conference for a job well done. He said council also appealed to Nigerians to look at the document and follow up its implementation by government. President Goodluck Jonathan on Wednesday swore in the new set of ministers cleared by the Senate. Embattled former Minister of State for Defence, Musiliu Obanikoro, (Lagos) was sworn in as the Minister of State Foreign Affairs II, while Nicholas Ada (Benue) is now the Minister of State Foreign Affairs I.
Mr. Obanikoro had resigned his appointment to run for the Lagos governorship ticket under the platform of the People’s Democratic Party, PDP, but lost to Jimi Agbaje. Mr. Obanikoro’s nomination and final clearance by the Senate had been embroiled in controversy as he was fingered in the Ekiti State rigging scandal evidenced by an audio recording. Nigerians including the major opposition party, All Progressives Congress, opposed his nomination but the Senate President David Mark, said Mr. Obanikoro’s clearance was constitutional and in line with the Senate’s tradition. Lagosians recovered yesterday from the hangover of Monday’s pro-Goodluck Jonathan protest that crippled parts of the city to condemn the marchers and their sponsors. Lagos State Governor Babatunde Fashola led the castigation of the Oodua Peoples Congress (OPC)-led protests. Members of the outlawed group, acting under security cover, smashed their way through Ikorodu Road while campaigning for President Jonathan’s re-election and calling for the removal of Independent National Electoral Commission (INEC) Chairman Prof. Attahiru Jega. Some former members of the Peoples Democratic Movement (PDM), a political machinery that was the brain child of the former vice president, Atiku Abubakar, have revealed how the embattled governor of Ondo state, Olusegun Mimiko, bribed leaders of the party to endorse President Goodluck Jonathan for a second term. Bode Ajewole and Gov. OIusegun Mimiko revealed this Monday shortly after the endorsement press conference at the Adegbemile Cultural Centre Press in Akure on by the members of the group under the banner of Atiku and the PDM. The group, which has members across the Southwest states of the country through its leader, Bode Ajewole said their decision to endorse Jonathan was hinged on the position of Jonathan to implement the recommendations of last year’s National Conference immediately he is reelected. The Presidential Candidate of the All Progressives Congress, Gen. Muhammadu Buhari Tuesday said he will not tamper with press freedom if elected as a President on March 28. 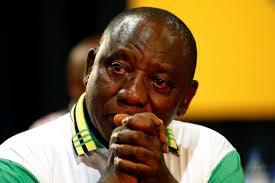 He also said a change revolution is imminent in the country without firing a shot. Buhari, who gave the assurance at an interactive session with members of the Newspaper Proprietors Association of Nigeria( NPAN) and the Nigerian Guild of Editors ( NGE) in Abuja restated that he will not engage in a debate with President Goodluck Jonathan. He said: “I want to give you my full assurances that in this democratic dispensation, I will ensure that the Nigerian constitution is upheld. This includes respect for the media, respect for the right to free expression and freedom of speech. Page 1 of 2 any of you are aware of Decree 4 of 1984, which was heavily criticised. The first civilian governor of Lagos State, Alhaji Lateef Jakande, on Tuesday, said that the cancellation of the Lagos metroline project in 1985 was a major mistake and disservice to many Nigerians. Jakande spoke in Lagos during the launch of a book which chronicled his life in politics and journalism. The book, entitled, ‘Jakande: Leadership in Action’ is written by Dr. Bola Olaosebikan, who told the audience at the event that the All Progressives Congress presidential candidate, Maj. Gen. Muhammadu Buhari (retd. ), was not responsible for the cancellation of the project. IMO State Governor Owelle Rochas Okorocha, has likened the All Progressives Congress, APC, presidential candidate, Major-General Muhammadu Buhari (retd) to late Dr. Nelson Mandela of South Africa and urged Nigerians to give him the mandate to steer and stabilise the ship of state. Addressing Imo State indigenes who gathered on the banner of Imo State Towns Development Association Lagos (ISTDAL) at a colourful reception for him at Teslim Balogun Stadium, Lagos, Okorocha said at 72, the only thing uppermost in Buhari’s mind was to clear the rot in the polity and move on. A pregnant staff of Silverbird Television in Lagos, Aisha Noble Mustapha, has been reportedly murdered in mysterious circumstances in the evening of Saturday, March 14, 2015, on her way back from her office. The beautiful lady was stabbed 11 times on her way to her house in Ogudu GRA, and left in the pool of her blood. Her boyfriend who is currently in police cell, according to insiders, is being fingered as the culprit. The reason for the suspicion is that in recent times, they have been having frequent disagreement over issues bordering on infidelity and unfaithfulness. A mild drama ensued as the Peoples Dem­ocratic Party (PDP) and All Progres­sives Congress (APC) sena­torial candidates for Anam­bra Central District, Mrs. Uche Ekwunife and Senator Chris Ngige clashed during Mothers’ Day celebration in an Anglican Church. The two senatorial can­didates separately came to St. Silas Anglican Church, Enekwasumpu to felicitate with the women as part of this year’s Anglican Church Mother’s Day celebration. Ekwunife had earlier ar­rived the church alongside her supporters amidst ju­bilation as members of the church rose in celebration to receive the senatorial candi­date of the PDP. The Benin Traditional Council on Monday announced that the Oba of Benin, Oba Erediauwa, is indisposed, after weeks of speculation over his health. The statement read, “It is hereby announced for the information of the general public that, in the Palace parlance, ‘Uhunmwun ve Ekpen vb’ Ato,’ meaning the Leopard is ill in the Savannah bush. The explanation is that Omo N’Oba N’Edo, Uku Akpolopkolo, Erediauwa, CFR, Oba of Benin is indisposed. 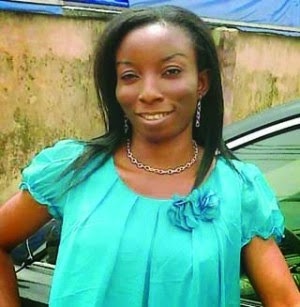 Another Facebook lover has died in Lagos a few years after Cynthia Osokogwu, the daughter of a retired miliitary officer, was allegedly lured to Lagos by her Facebook lover, drugged, raped and murdered in Festac Town.The latest victim, identfied as Adekemi Faboro, who teaches at a private nursery and primary school, in Ojota,died in Ogba area of Lagos last weekend while on a date with her married Facebook lover, Christopher Ezekiel, for the first time. Sources told P.M.NEWS that Ezekiel, a father of two, came from Ibadan, Oyo State, southwest Nigeria, to visit Adekemi in Lagos State, for the first time on the fateful day, after he met her on Facebook. This is just as the Inspector-General of Police, Suleiman Abbah, has given matching orders to the Police in Lagos to re-strategise, in order to ensure that armed robbers do not unleash terror again in the state. The All Progressives Congress has called on the Peoples Democratic Party and the Federal Government to shun any plan to assassinate Maj. Gen. Muhammadu Buhari (retd.). The APC also raised the alarm over an alleged plot by ruling party to discredit Buhari. But the Deputy National Publicity Secretary of the PDP, Abdullahi Jalo, has urged the APC to provide evidence of any of such plan by the ruling party to assassinate Buhari. The National Publicity Secretary of the APC, Mr. Lai Mohammed, told The PUNCH that the PDP-led government had security men specially trained as snipers to eliminate those opposed to President Goodluck Jonathan’s re-election bid. The Yoruba Council of Elders has said that the appearance of its National President, Brig- Gen. Adeyinka Adebayo (rtd), at a post-national conference summit in Ibadan, Oyo State, should not be mistaken for an endorsement of the candidacy of President Goodluck Jonathan in the March 28 election. YCE, also known as Igbimo Agba Yoruba, said this at the end of its National Executive Council meeting in Ibadan. The summit, which was convened by the Ondo State Governor, Dr. Olusegun Mimiko, was attended by some Yoruba leaders where they endorsed the candidacy of President Jonathan. It was a bloody Sunday in Benue State after suspected Fulani herdsmen allegedly slaughtered over 90 persons, including women and children, at Egba village in Agatu Local Government Area of the state. Vanguard gathered from a resident of the community that the number might well exceed the current figure since many were still missing and unaccounted for. Miled drama yesterday trailed the allegations that some traditional rulers from the South-West were financially induced with foreign currencies by President Goodluck Jonathan during recent visits to the zone. While some leaders traced the allegation to the opposition All Progressives Congress, APC with the claim that the APC was equally involved in inducing leading monarchs, Governor Babatunde Fashola on his part affirmed that the money allegedly received by the monarchs could change the face of infrastructure in any state. Former Governor Kayode Fayemi of Ekiti State, yesterday, stoked the controversy over the alleged interim government arrangement when he declared that he had evidence that national leader of All Progressives Congress, APC, Asiwaju Bola Tinubu, was wooed to be part of the ING by President Goodluck Jonathan and the Peoples Democratic Party, PDP. Fayemi, currently the Director of Policy in the Muhammadu Buhari Campaign Organisation who, yesterday, disclosed the existence of verifiable proof of the plot, also reassured the President and his aides that a future APC national government would not witch-hunt them through a probe. Showbiz Interactive: From right: Tony Elumelu, Chairman, Heirs Holdings; President Goodluck Jonathan; Mr Jim Ovia, Chairman, Zenith Bank; Governor Godswill Akpabio of Akwa Ibom State (2nd row) and others on arrival at the Showbiz Interactive with GEJ, at Eko Hotel, Lagos, yesterday. Photo: Lamidi Bamidele. President Goodluck Jonathan has called on Nigerian entertainment practitioner to fashion out ways to convert their fame to enhance tourism in the country. The president made the appeal at the Presidential Interactive Session with Nollywood Stars forum, where he had major entertainment experts in a town hall meeting in Laogs, with the motive to move the nation entertainment industry to the next level. 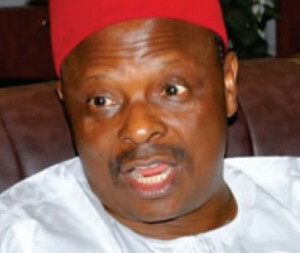 A sitting member of the Federal House of Representatives from Kano State, Bashir Husain, and the Special Assistant to Governor Rabiu Musa Kwankwaso on Empowerment Programme, Hajia Maryma Kofar Mata, were among the members of the All Progressives Congress (APC), who decamped to the Peoples Democratic Party (PDP) in the state. The development, according to a statement made available by the media office of Vice President Mohammed Namadi Sambo, yesterday, is a fallout of the visit of Sambo to the state. According to the statement, Husain is representing Gwale Federal Constituency, while Kofar Mata was the immediate past State Women Leader of APC. Stakeholders in Ndemili North/South LGA of Anambra state have urged Ndigbo to remain in a party that has its potential to deliver their 2019 presidential aspiration. This was a vote moved by the former commissioner for information, Barrister Joe-Martins Uzodike seconded by Barrister Okay Udah noted that the future of Ndigbo emerging as the next president of Nigeria after President Goodluck Jonathan would not be achieved in a one state controlled political party. The stakeholders who represent major communities in the Local Government Areas averred to converse beyond Anambra state to ensure Ndigbo registers themselves with the people democratic party (PDP). Comrade Ayuba Wabba, of the Medical and Health Workers Union of Nigeria(MHWUN,) has been elected president of the Nigeria Labour Congress (NLC) in an election process that started Thursday morning. However, his opponent, Comrade Joe Ajero, of the NIgeria Union of Electricity Employees (NUEE) has said he will not accept the result. 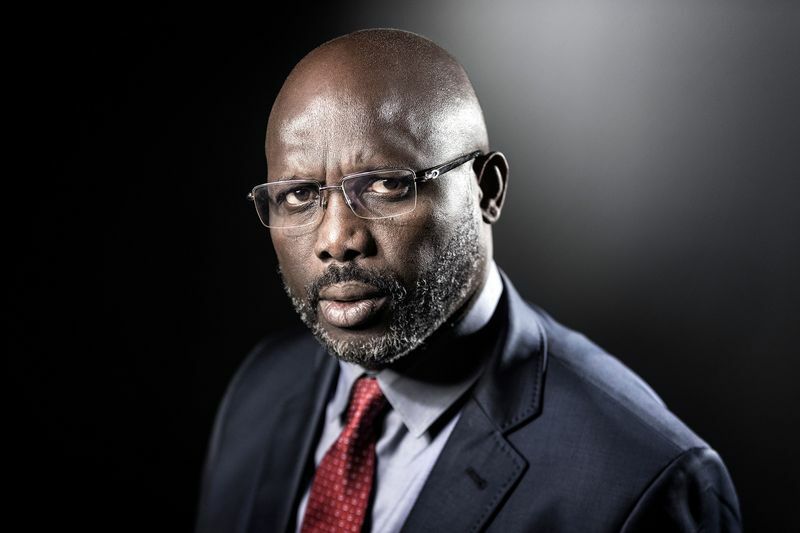 Intrigues had dogged the election, which was a rerun of an earlier botched one a month ago following the destruction of ballot boxes and papers on the claims of attempted rigging. There huge presence of police officers and staff of the NIgeria Security and Civil Defense prevented an attempt by some people to disrupt the process which saw 3119 delegates from 43 affiliate unions voting. The senator representing Anambra Central on the platform of the All Progressives Congress in the Seventh Senate, Dr. Chris Ngige, has said his All Progressives Grand Alliance challenger, Chief Victor Umeh, is no threat to his re-election bid. Ngige, who spoke while addressing members of Nnobi Welfare Organisation, Lagos branch recently, also promised more democracy dividends for his constituents. Creflo Dollar is hoping a few folks will see fit to bless him. The president of the republic of Liberia, Mrs. Ellen Johnson Sirleaf has been caught in the six minutes video of Creflo Dollar Prosperity Ministry fund raising to purchase Gulfstream G650 jet worth $60 million. The president was captured in the live viewing screen video, advocating for the fund raising, in the bid to change the ministry existing jet that has been in service for about three decades and urged parishioners to join in the kingdom investment, in term of offering and tithes and special offering worth about $300 dollars to each members as a goal that must be achieved. The video includes parishioners, a pilot, a project manager and even the President of Liberia, Ellen Johnson Sirleaf, advocating on behalf of the pastor. The minister Creflo Dollar, known for being a prosperity preacher at his Atlanta-area World Changers Church International, is seeking 200,000 people committed to sow $300 or more (to) help achieve his goal to purchase the G650 airplane. A governorship aspirant of the All Progressives Congress, APC, in Kogi State, Abdul-Aziz Aliyu, is dead. The victim and his younger brother, Salmanu Aliyu, fear dead in a ghastly motor accident along Jere Town of Kaduna State on Saturday. Abubakar Aliyu, who spoke on behalf of the family, told journalists in Kano that the incident happened on Saturday afternoon when the victims were returning from Abuja. Mr. Aliyu said the 36 years old APC stalwart was in Lagos for an official engagement on Friday. He said the politician, who was to travel to Kano same day, stopped over in Abuja as his flight from the Nigerian capital was cancelled due to bad weather. Salmanu, who was also in Abuja for a private engagement, joined his elder brother for the road trip to Kano during which the accident occurred. The president of the republic of Liberia, Mrs. Ellen Johnson Sirleaf has been caught in the six minutes video of Crelfo Dollar Prosperity Ministry fund raising to purchase Gulfstream G650 jet worth $60 million. The minister Crelfo Dollar, known for being a prosperity preacher at his Atlanta-area World Changers Church International, is seeking 200,000 people committed to sow $300 or more (to) help achieve his goal to purchase the G650 airplane. Barely two weeks to the general elections, political gladiators are seriuosly canvassing for their die-minutes campaign to woo prospective supporters to their wing, not leaving out hate comments that is becoming the trend of Nigeria nascent democracy. Recently, in a rally at Onikan stadium Lagos, held by the All Progrevisse Congress in honour of Igbo residents in Lagos, the National leader of the (APC), Bola Tinubu, revealed that he was instrumental to the victory of President Goodluck Jonathan in the 2011 general elections. He outlined stepps taken few day to the 2011 general elections, and efforts make by his party the former Action Congress of Nigeria (ACN) against the interest of the party and their party presidential flag bearer, Mr. Nhuhu Ribadu, to ensure the president, being fresh air candidate as he preached delivers to them the dividend of democracy, expected of a true nationalist. He called on the Igbo liv¬ing in Lagos to support the APC to continue reaping the dividends of democ-racy. He urged them not to allow politics of tribe and religion to influence their decision at the polls. A chieftain of the All Progressives Congress in Delta State, Dr. Alex Ideh, Sunday, has described the reign of president Goodluck Jonathan as a disaster to the nation and total failure to their ethnic group. The APC stalwart and leader of the Itsekiri nation, in a statement made available to newsmen, said people of the region and other geo-political zones in the country would henceforth have to rethink and cast their votes en masse for the APC presidential candidate, Gen. Muhammadu Buhari (retd. ), in the election scheduled for next week. Ideh said the recent return of Buhari from the United Kingdom had put an end to the lull in the political space and served as a reassurance of the candidate’s ability to garner Itsekiri votes for the APC in Delta State.